Travel back to the 1930s and work together with three other friends to seal away an monstrous evil. What would you get if you took Ghostbusters, Tomb Raider, and Left 4 Dead, and mixed them all together? 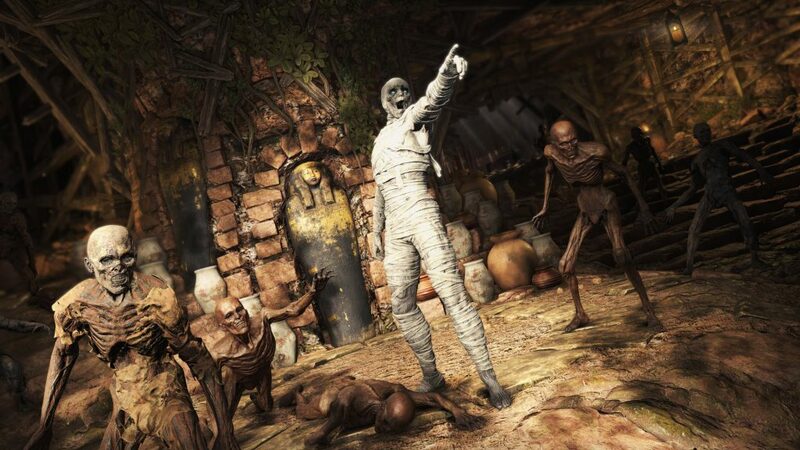 The answer is Strange Brigade, a 1930s-themed, third-person shooter that tasks players with defeating waves of undead monsters in an attempt to track down an ancient evil. If that hasn’t convinced you to dive into this unforgettable 4-player co-operative experience, let us tell you a little more! The story in Strange Brigade takes a classic 1930s approach to storytelling, focusing on heroism, adventure, and a jolly good time! 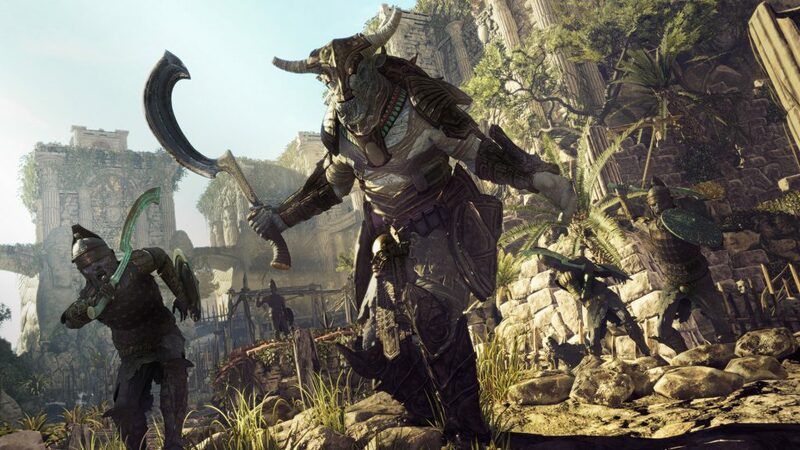 Strange Brigade sets the scene with a tale about ancient Egypt and an event that takes place some 4,000 years ago. Seteki, the then-queen of Egypt, was known for dabbling in ancient magic, and it should come as no surprise that dabbling in the occult led to her becoming Seteki the Witch Queen. Luckily, she was sealed away in a tomb never to be disturbed – until now. Players take on the role of one of four characters, each with their own unique abilities and weapons to utilize in combat. 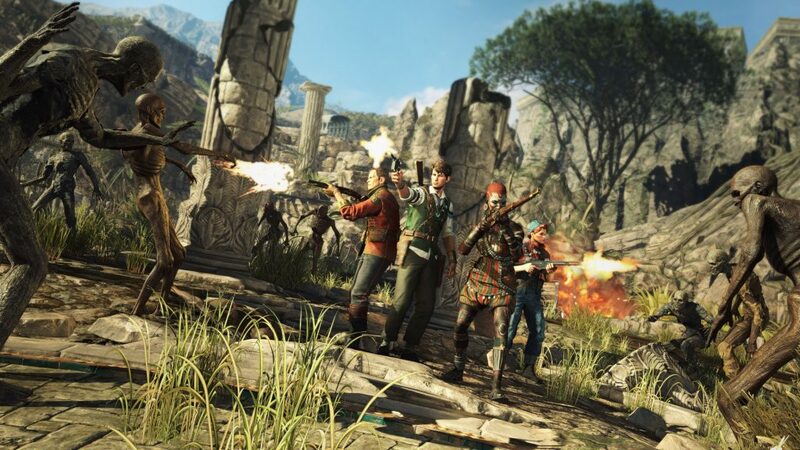 These characters are all a part of the Strange Brigade, a team of rapscallions who are sent in to help in these prickly situations. Someone has accidentally released the Witch Queen, and as we all know, releasing evil spirits into the world is something worth avoiding. The story is aided by the lovable narrator who cheers the player onward, offering suggestions on how to handle a situation. It’s a nice touch that makes the narrator feel like one of the team mates, another character on the frontlines helping send the undead back from whence they came. All adventurers are different, and the same holds true for the mighty heroes in the Strange Brigade. Players can take on the role of one of four characters who each have their own unique style of dealing with the endless horde of the undead. It adds another layer to the gameplay, as playing through with one character will be an entirely different experience to another. The reason for this difference is that each character has their own amulet ability. Charge up the amulet by killing enemies and collecting their souls and you’ll be rewarded with an explosive display of power as your character decimates the battlefield. Each character has four amulet powers to choose from, totaling 16 different super abilities to use. Sometimes you’ll feel like throwing the enemy around and making them explode, sending out swarms of homing projectiles to blast them to smithereens, or sometimes you might want to turn them into a harmless chicken? 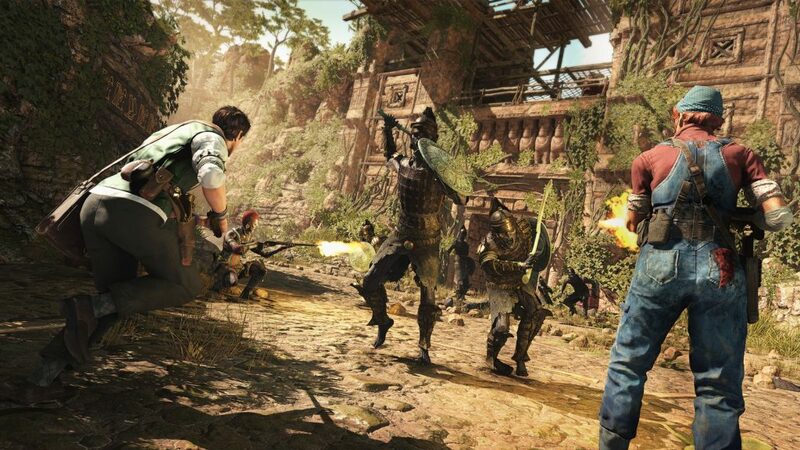 What makes Strange Brigade so exhilarating is the fact you can get three other friends into the fast-paced action for some 4-player co-operation. Though playing solo is definitely an option, there’s nothing quite as fun as having three friends with you mowing down mummies and minotaurs as barrels explode all around and traps slice the undead into tiny pieces. Because there’s so much happening, communication is absolutely critical for a resounding victory, which is why a headset like the Stealth 700 Wireless Gaming Headset is important. Featuring Turtle Beach’s Dynamic Chat Boost™, the headset can be switched to automatically boost incoming communications, allowing you to hear that life-saving callout even when the world around you seems to be burning. All the fire, explosions, claws, scythes, and hammers won’t stop you from hearing what your friends are trying to say. Adventuring through deserted towns, crumbling villages, forests, dank caverns, and sandstorms isn’t easy, especially when being relentlessly attacked by hordes of Seteki’s evil minions, but that doesn’t mean you shouldn’t explore. Take a moment to wander off the beaten track and you might just come across a secret or two. Hidden around each level are dozens of things for the eagle-eyed player to find. A blocked path might reveal a treasure chest holding a prototype weapon while another might offer a valuable environmental hazard. Taking note of said traps is absolutely essential if players want to survive, because it can very quickly get out of hand. Take note of trap locations and then coral the enemies toward it to save on some ammo and clear large swathes of the mob in a single swipe. Zombies aren’t the only adversary players will encounter on their quest through ancient ruins, as each corner and room offers a new surprise. Goat-headed humanoids, skeleton warriors, giant scorpions, minotaurs, and more otherworldly creatures await your bullets, shells, and supernatural abilities. Players will need to quickly learn a monster’s weaknesses in order to survive. Sure, killing a shuffling cadaver is simple enough – fill it full of lead – but taking down a heavily armored, spear throwing soldier is a little different. Shooting the armor off of your enemies is essential, especially the tougher bosses, as they will be taking next to no damage with all that metal and iron strapped to their body. 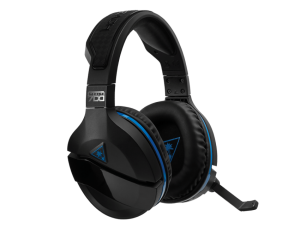 The Stealth 700 for PS4™ is the premium wireless gaming headset you’ve been waiting for, with features like DTS™7.1 Surround Sound, Active Noise-Cancellation, Bluetooth™ connectivity with app-based settings, and much more. 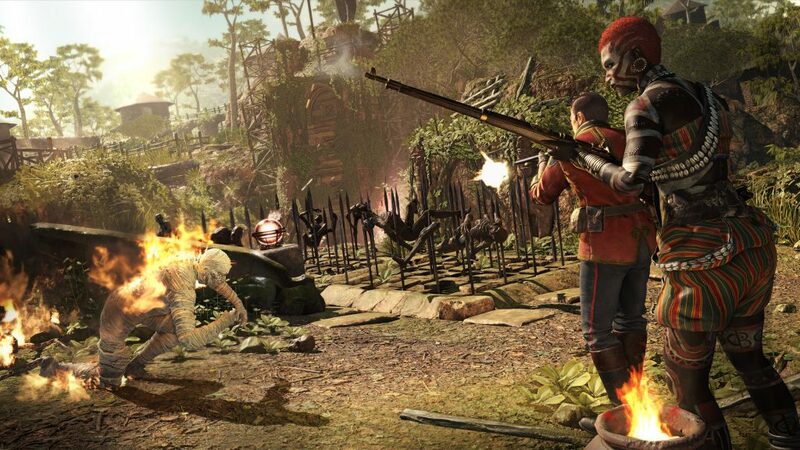 Strange Brigade is a love-letter to the 1930s-style of storytelling that has been fused with the thrilling romp of a rich co-operative, third-person shooter experience. There’s something delightfully fun about adventuring across sandy deserts set to the backdrop of millennia-old evil beings desperate to seize power. Now, get your weapon ready because there are secrets to uncover, treasure to claim, and an evil Witch Queen to stop!